LOS ANGELES - A deadly shooting at a Colorado Planned Parenthood is the latest in a long history of violence at clinics that provide abortions and doctors who perform the procedure. Police aren't saying what motivated Friday's shooting. The attack comes as the nonprofit endures criticism from anti-abortion lawmakers and renewed protests outside clinics since a group of abortion opponents released videos they claimed showed the organization negotiating fetal tissue sales. WHAT ARE THE ORIGINS OF PLANNED PARENTHOOD? Planned Parenthood has been a polarizing organization since its precursor, a clinic in Brooklyn, New York, was founded in 1916 by pioneering birth-control advocate Margaret Sanger. It provides a range of health services - including cancer screenings, testing for HIV and contraception - but its role as the No. 1 abortion provider in the United States has for many years made it the focus of violence, boycotts, protests and attempted sting operations by anti-abortion activists. WHAT VIOLENCE HAVE ABORTION CLINICS OR PROVIDERS FACED? Since 1977, there have been eight murders, 17 attempted murders, 42 bombings, 186 arsons and thousands of other incidents, including vandalism, according to the National Abortion Foundation, a trade group for abortion providers. In December 1994, two receptionists were killed at Planned Parenthood clinics in Brookline, Massachusetts, and five other people were wounded. The convicted gunman, John Salvi, was later found dead in prison of an apparent suicide. Before Friday, the most recent killing happened in 2009 in a Wichita, Kansas, church where Dr. George Tiller, who performed late-term abortions, was slain while serving as an usher. He had been shot in a previous attack years earlier. In March, 1993, Dr. David Gunn was shot and killed in Pensacola, Fla. In 1994, Dr. John Britton and another man were killed in Pensacola, and two receptionists were killed at clinics in Brookline, Mass. Another doctor and another woman were killed in other incidents that year. Three other doctors were shot from 1995 to 1997. 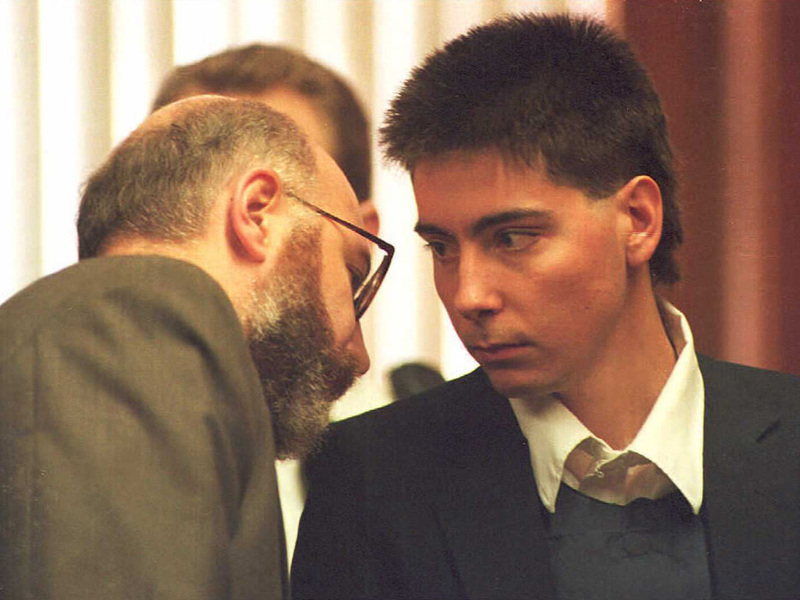 In 2003, anti-abortion rights activist James Kopp reportedly admitted killing Dr. Barnett Slepian in Buffalo, although he claimed he only intended to harm Kopp, not murder him. "Why do you think I used force against Dr. Slepian when he was within 10 hours of taking the lives of 25 babies? The question answers itself," Kopp said. Planned Parenthood clinics in New Hampshire, Southern California and Washington have been targeted by vandals and arsonists since a new wave of anti-abortion protests began this summer. WHY HAS PLANNED PARENTHOOD FACED RENEWED CRITICISM? The campaign against Planned Parenthood has intensified since July, when anti-abortion activists who posed as representatives of a biomedical firm began releasing a series of undercover videos. They sought to negotiate the purchase of fetal organs from Planned Parenthood personnel. The organization has denied seeking any payments beyond legally permitted reimbursement of the costs for donating the organs to researchers. Citing the videos, Republicans in Congress have been seeking to cut off federal funding for Planned Parenthood, and the organization has been investigated by several GOP-led committees. Additionally, several states where Republicans hold power have sought to block Medicaid funding to Planned Parenthood. The efforts have shown no sign of easing. A recently formed House investigative committee, led by some of the most staunch abortion opponents in Congress, is expected to focus its work on Planned Parenthood but has yet to move into high gear. WHAT IMPACT HAVE THE VIDEOS HAD AT COLORADO CLINICS? One of the videos released by the California-based Center for Medical Progress showed Dr. Savita Ginde, vice president of Denver-based Planned Parenthood of the Rocky Mountains, discussing prices of aborted fetal remains, the center said. Planned Parenthood said that video and the others were misleading and deceptively edited. Since the videos began airing, threats against abortion clinics nationwide have spiked, said Vicki Saporta, president and CEO of the National Abortion Federation. "The noise level out there about Planned Parenthood has been high, and it's been hateful the last several months," said Vicki Cowart, CEO and president of the Planned Parenthood of the Rocky Mountains. There have been more protesters targeting Planned Parenthood of the Rocky Mountains, which includes the Colorado Springs clinic, and one of its doctors has been the subject of death threats, Saporta said. WHAT KIND OF SECURITY DOES THE COLORADO SPRINGS CLINIC HAVE? The gunman broke into the clinic after a security guard had finished his shift, but staff followed safety plans perfectly, which probably saved many lives, Cowart said. A receptionist, who heard gunfire outside the building Friday, alerted others to keep away. The suspect broke in to the reception area but was stopped by a locked door leading to the main part of the clinic. Staff followed protocol to hide in locked rooms in the center of the clinic during a standoff that lasted about five hours. The facility had live security cameras that allowed Planned Parenthood to share information with police about what was happening inside. Cowart dismissed the suggestion of installing metal detectors at the clinic, saying: "Nobody deserves to walk through a metal detector to access health care."